Wipe Out Music was founded in 1996 by John Esplen, initially as a spin-off to the various record labels he managed including the prestigious punk rock Overground Records, home to punk legends such as Steve Ignorant, 999, The Dickies and Richard Hell. 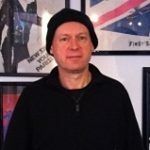 Whilst the early Wipe Out Music catalogue was rooted with classic punk rock music from the late 70s onwards, John quickly set about evolving the company to better develop new artists at the early stages of their career whose music inspired him. It’s this ethos coupled with John’s willingness to support the artists he believes in that has seen the likes of Sleaford Mods go from bedroom hobbyists to one of the UK’s most exciting artists. Now Wipe Out Music boasts one of the best publishing rosters of new and emerging talents like Coquin Migale, Sam Kelly, Warm Digits and Avalanche Party alongside established and acclaimed acts such as Sleaford Mods, Stone Foundation and Emily Portman. John handles the day-to-day business, the signing of new artists and is obsessive about the tracking and collection of royalties. He supports Bristol City football club and Somerset CCC. The first live act he saw was Adge Cutler & The Wurzels. Was the West Somerset schools chess champion. In 1989 he persuaded and financed The Dickies to tour Europe after a 10-year hiatus. Liam seeks out sync placements within tv, film and advertising. First interned at Wipe Out before he was offered a full-time job. Loves working in all areas of music; dabbles in songwriting, production, guitar tuition and of course publishing! Biggest gig was in front of 11,000 people at Metro Radio Christmas Live, playing guitar for Calum Scott. Thinks of himself as the next Ronnie O’Sullivan. Matt seeks out sync placements within tv, film and advertising. Previously worked at Amazing Radio as their Head Of Music before joining Wipe Out Music at the start of 2017. Runs a record label called Box Records releasing music he loves. 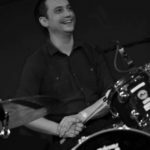 Matt plays in several bands, most notably as vocalist of Pigs Pigs Pigs Pigs Pigs Pigs Pigs and playing drums for Richard Dawson. He’s a closet wrestling fan.